Commissioners Mark Barker and Jim Bush discuss a point. It was a busy Saturday morning for the Cannon County Commission as it took action on several issues including a new hotel/motel act, a structure for the Farmers Market and a valid contract for solid waste hauling. The commission was also updated on the budgetary process for the 2014 fiscal year as well as planning a public hearing on a proposed connection of John Bragg Highway with the four-lane highway to McMinnville that is currently under construction. Commission Chairman Bob Stoetzel kicked the session off with an update on the 2013 fiscal year. “Today’s board of the Cannon County Commissioners has excelled in conducted the business of Cannon County for the benefit of her people,” Stoetzel said. “We have changed the way that Cannon County does business. “We have created policies and protocols to use our finances; we have created policies of debt management. We have paid off large notes that have saved the taxpayers thousands of dollars for a generation of our descendants,” he said. Much has been done, but there is much more the County Commission can do, Stoetzel continued. For example, there is $140,000 due from Rutherford County for a water line project in western Cannon County. “That is seven cents on the tax bill that could be used in other places like the jail,” he said. The county also needs to look at combining the counties four insurance plans for further savings. “And finally, as we go into the final year of our term, we must realize that we have made some hard decisions in the past and will continue to make more of the decisions in the near future,” Stoetzel said. “This is not the time to falter, we must forge ahead and continue to do what we think is morally right and just for the people in our care. We have the ability sitting around this table to find solutions and act on those solutions to make government admired and respected. “You don’t have to be a big government board to do great things,” Stoetzel said. Turning to business, the Commission heard from County Executive Mike Gannon concerning the county’s solid waste program. Stoetzel had asked County Attorney Mike Corley for a ruling on the solid waste contract with Mike Pemberton. Corley responded in writing that the contract was invalid because it had not been approved by the County Commission. Similarly, CTAS had confirmed that the contract needed to be approved by the County Commission. “I apologize for not bringing it before you,” Gannon told the Commissioners. To straighten up the issue, Gannon had advertised the contract in the Cannon Courier. He received inquiries from three businesses, but received only one bid from Pemberton, who does much more than haul the county’s trash, the county executive said. Pemberton oversees maintenance, hydraulics and similar issues with the compactor. Clint Higgins moved to approve the agreement. Kevin George seconded it. The motion passed unanimously. After some discussion, the Commission also asked Gannon to look at some trash disposal issues including the design of the current site. “It was state of the art in 1988,” Gannon agreed, adding that some improvements are possible including installation of a conveyor belt at the bottom of the trash processor. Discussion then turned to Tennessee Department of Transportation’s plan to connect John Bragg Highway with the new four-lane McMinnville Highway that will eventually replace Highway 70S. State Rep. Mark Pody said he was advised by TDOT to get an opinion from the county on the project. The state has a number of projects ahead of the Woodbury completion. “There are no plans for it to be done,” Pody said. “Why not set up a public hearing?” asked Commissioner Kevin George, pointing out that a referendum on the issue is problematic. Not everyone in Cannon County will be impacted by the project, he said. “If you want to have a real uproar over this, don’t let the people have a say,” George said. “This is not going to happen quickly,” Pody pointed out. 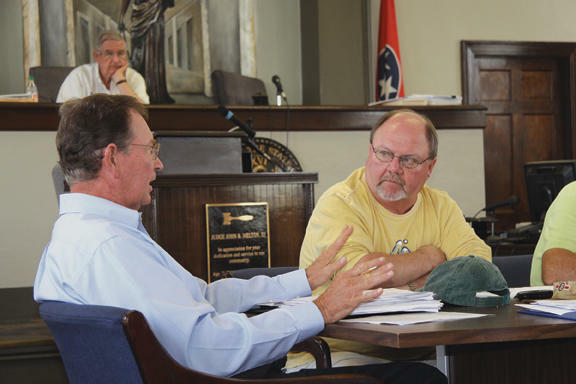 Cannon County has time to take deliberate action. The Commission is expected to refer the highway issue to the Cannon County Planning Commission to begin consideration. Commissioners did take action on two other issues: passage of a private act establishing a hotel/motel tax and final approval of construction of a Farmer’s Market. Commissioner Tony Neal moved for passage of the hotel/motel tax. Kevin George seconded it. The measure passed 8-1-1. Commissioner Russell Reed voted no. Commissioner Kevin Mooneyham was absent. Reed also led the debate against the Farmer’s Market, protesting that the site adjacent to the Arts Center of Cannon County was prone to flooding. Commissioner Jim Bush agreed with Reed about the site. “I have a problem with where we are building it. Move it up the hill,” Bush said. The shed will be built on a concrete slab with metal roof. The materials for the structure have already been delivered. The commission voted 7-2-1 with Bush and Reed voting no and Kevin Mooneyham absent. Commissioners voted unanimously in favor of Burton Mason to replace Doug Bodary on the Industrial Development Board. 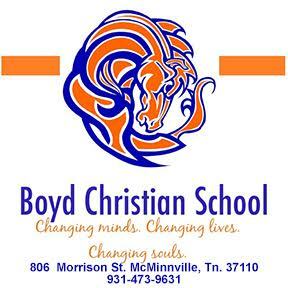 Bodary resigned from the board after moving to Rutherford County. Mason, a former airlines pilot, operates a business in Smithville that rebuilds airplanes. “Burton is a wise choice. He will be an asset to our board,” said IDB chairman Randall Reid.